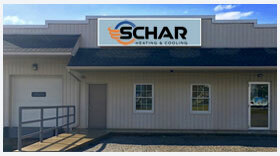 Schar Heating & Cooling, Inc. is proud to serve the Orrville community! About Orrville, OH - Happy to be your hometown Heating & Air Conditioning Contractor! Located 20 miles southwest of Akron, Orrville is a modestly sized city in Wayne County. J.M. Smucker Co., the owner of the Smucker’s brand, is found here, and its factory is one of the largest employers in the city. Other major businesses include the Schantz Organ Company and Smith Dairy Products. In addition to Orville City Schools, educational opportunities are available at Wayne College – a branch campus with the University of Akron. With only about 8,400 residents, there aren’t any major attractions in Orrville, but there are several important businesses. Antique enthusiasts may like to check out New Orr Not or Journey in Time, and other shopping destinations include Treasures & Time Distinctive Jewelry and Raye’s of Blessings. There are several local restaurants found here, including Michael’s Bakery and Jerry’s Café, there are two popular golf courses – Riceland Golf Course and the Pines Golf Club. Visitors in need of some pampering may also like to book a service at Relax & Thrive or Wiebe Massotherapy. To live comfortably in Orrville, residents need to have the right heating and cooling systems at home. Weather conditions vary with the season, beginning with a cold and snowy winter. Ice and rain are also possibilities, with temperatures often falling below freezing. A gas or electric furnace will keep visitors and residents warm at home while also protecting their most expensive investment – their home. The spring months are warm and comfortable, while the summers tend to be hot and humid. High temperatures often reach into the 80s and 90s, and when coupled with high dew points, it can feel quite muggy. Energy Star central air conditioners help to keep residents cool and comfortable, and they are especially important for the elderly, children, and people with chronic health conditions. The right air conditioner can also improve indoor air quality.